I just wanted to share this Plus Quilt that I just took off my Millie. I used the Diamonds are Forever panto and I think it turned out really well. Customer didn't want straight line quilting as she didn't want it to look to contemporary, but didn't want to pay for crosshatching to make it look old. I think this was a nice compromise. You are right - the perfect compromise. Looks great!! That's really nice. 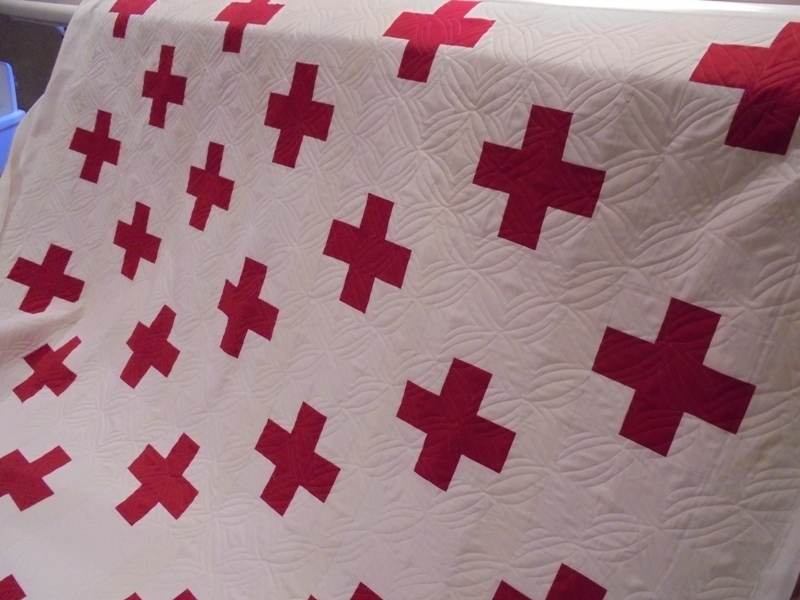 I am always worried about quilts with lots of blank space.. I need to be raver and do some cause this looks great. Well, with the panto, I really didn't have to worry about just the wide open spaces. The panto took care of that. Thank you. I hope my customer is happy with it, too. That looks great. The panto is perfect for it! Looks like a good compromise to me! That worked out really well!! I love all the Magic Diamond designs. A gret choice. Love it!!!! Love how the panto looks on that quilt. Its perfect. Turned out beautiful. I will have to look that panto up. I really like how the panto turned out.